How Diversity Feeds Our Business. When Falcon Social got its most recent round of funding in August, plans were made to grow the team exponentially to drive the product, and hit the market, hard. The timing is right for our product—a unified, digital marketing platform that allows organizations to engage with their audience from one central, cleanly-designed location. Most companies are moving away from several small tools to platforms with audit trails and built-in vital features. This pragmatic, minimalist approach to social media management speaks to Falcon Social’s own Nordic background. From the simple design of our interface to our flat, internal hierarchy, we’ve embraced our start as a creative Copenhagen startup as the platform enters the global marketplace. Beneath the Scandinavian surface, however, our team is actually made up of a multicultural group of driven individuals, some of whom relocated to Copenhagen to challenge themselves at Falcon Social. Currently populated by 27 (27!) different nationalities in addition to Nordic origins, you hear a smattering of different languages as you walk through the office. Through things such as Google Hangouts, newsletters, events, a Facebook group, and family-style lunch tables, we stay connected and working together on common goals. Working with people who grew up in other cultures and with other perspectives challenges what you already know, and keeps you professionally sharp. The broad collective experience of our team is not limited to common experiences and schools. The professional experience, educations, and past internships of our team members strengthens the structure and delivery of our product, and fuels our continued development. We appreciate coming together in Copenhagen to create a product we’re extremely proud of. If you’d like to see if we have any job openings available to join the Falcon Social team, please click here. 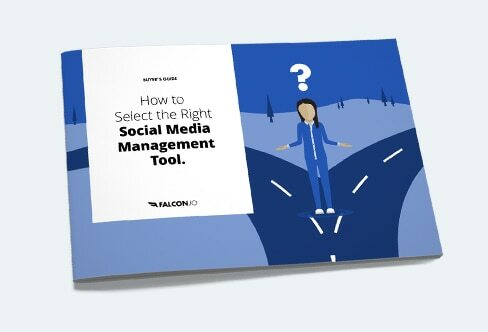 If you’d like to request a demo to see if the Falcon platform is a good fit for your organization’s social media management, please click here. If you’re a digital marketing manager, community manager, social marketing manager or the like, please be sure to connect with us onTwitter and Facebook—we love to exchange ideas! Learn what employee advocacy is, and how it can extend the reach & trust of your brand.